By making use of different motor systems and different boom lengths, you can make a quad of any size you like up to 1 meter (39") frame OD. Our motor mounts are light enough for small outrunners and strong enough for even 28mm size outrunners. You can use this kit as the basis for your special project. Want to carry your GoPro camera to get that special shot? Want to build a Quad FPV? Want to deliver a can of soda, or perhaps a bowling ball? The basis for all those fun projects is here. The center platform is 5" in diameter. Each motor mount surface is 1 5/8" (41.27mm) square and on the same plane as the center component platform. 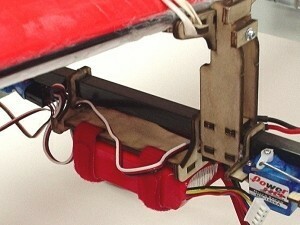 All required parts are included to attach the battery pack mount on top or bottom of platform. Mounts for auxilliary booms are provided if for example you wish to mount a tail fin or place a gimbled camera on a boom between the motor booms. Wire for landing gear is provided. The gear is mounted on the motor mounts. A bending plan is provided. 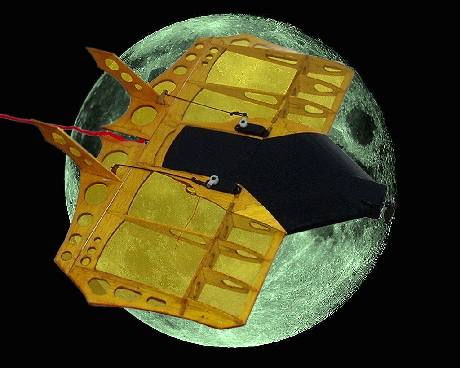 The kit may be configured for flying in either On-Axis (Cruciform or +) or Off Axis (Racecar or X) configuration. What you get: All parts for center platform including main boom and auxillary boom mounts, 4 motor mounts, battery straps, fasteners/stand offs, wire and bending plan for landing gear. What you need to add: 2 each 10mm square booms (GWS Slow Stick Booms and woodie arms listed in this category), 4 motors, 4 speed controls, stabilizer board of some sort, battery to match (usually 3S 2100 or so) and receiver. Mark Harrison's Arcticopter II build log and flight videos. Marks excellent multi-rotor blog site and his use of our Designers Quad Kit and accessories as he evolves his multi-rotor concepts. Just like the Stinger Quad except requires only 3 motors. 1 pivot-able/tilt-table motor mount included with axle and securing parts. We suggest a Hitec HS-81 or similar sized servo for this purpose. Needed to complete are 3 motors, ESC's, controller board, receiver, 1 servo, battery pack and 10mm square arms available in this category. Ball joints provided for yaw motor tilt are quality Dubro Swivel Links, Dubro wheel collars and K&S metals for axle and landing gear wire. Completed kit shown in photo's was built by John Bernard, electronics not included. John Bernard's build log and review PDF with photos. Mark Burghorn in the Netherlands showing off his new RRC Stinger Tri-Coper on it's second flight. Thanks for the video Mark. Our second Quad kit. This kit is characterized by all booms being on the same level. Construction is sandwich style. Motor mounts incorporate both our standard 1/16" bent wire gear and optional vertical leg 3/32" music wire or 2.5mm carbon rod (Secures easily with Dubro wheel collar). 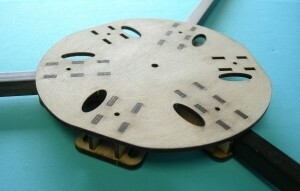 Un-bent wire is provided for the .062" bent wire option. This air frame kit is a little lower profile than the Quad Designers Kit and a slightly higher weight. Although, it's quite lite and sporty. By making use of different motor systems and different boom lengths, you can make a quad of any size you like within reason. Our motor mounts are light enough for small outrunners and strong enough for even 28mm size outrunners. You can use this kit as the basis of many special projects. Kit is compatible with all our accessories and based on 10mm booms. The center platform is 5" in diameter. Each motor mount surface is 1 9/16" (39.7mm) wide and on the same plane as the center component platform. All required parts are included to attach a battery pack mount on top or bottom of platform. Additionally for a clean look, mounts battery placement on bottom sandwich of center pod are provided for both X and + flying configuration. Mounts for auxiliary booms are provide if for example you wish to mount an orientation tail fin or place a gimbled camera on a boom between the motor booms. Wire for landing gear is provided. The gear is mounted on the motor mounts. A bending plan is provided. 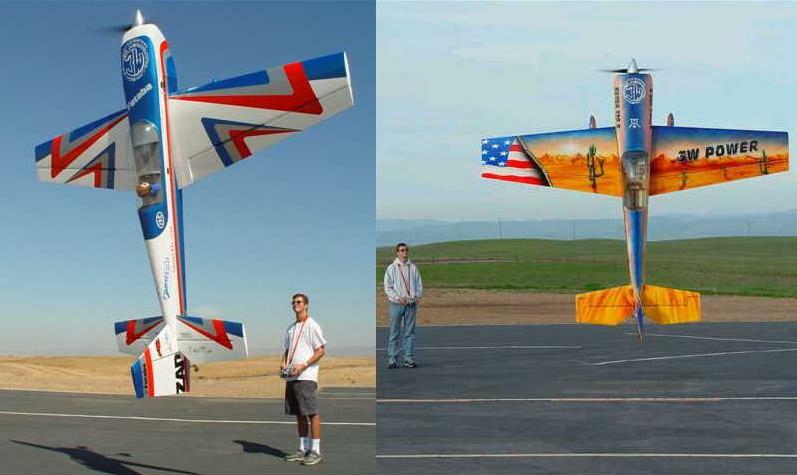 The kit may be configured for flying in either On-Axis (Cruciform or +) or Off Axis (Racecar or X) configuration. What you get: All parts for center platform including main boom and auxiliary boom mounts, 4 motor mounts, battery straps, fasteners/stand offs, wire and bending plan for landing gear. What you need to add: 10mm square arm material (GWS Slow Stick Boom Kits and woody options are listed here), 4 motors, 4 speed controls, stabilizer board of your choice, battery to match (usually 3S 1500-2100) and receiver. Note, we don't offer control boards for multi rotors at this time. If you want to fly a Quad, you're going to have to figure all the electronics out for yourself. For now, we are offering air-frame kits and accessories. Michael Crash Hancock's Stinger Quad Build Log/Review. 10mm x 24" Square Bass Multi Rotor Arms. 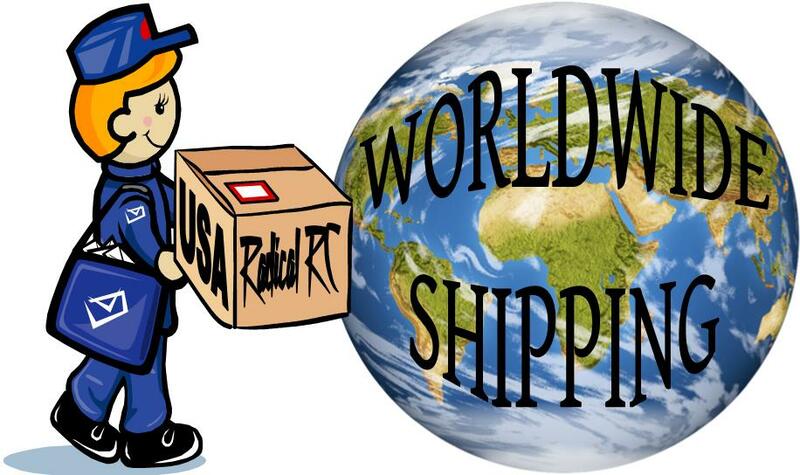 Compatible with all Radical RC Multi Rotor Kits. Please note, the nature of wood is it's "natural" and it's generally less straight than the various tubing options. Much cheaper and certainly very easy to repair or modify. Accepts fasteners readily. Lots of postive aspects to flying woody arms. Price is per stick. Custom machined for 10mm Multi-Rotor application. Add on section aproximately 7.75" for adding accessory mounting locations, a camera perch or a visual orientation fin mount. 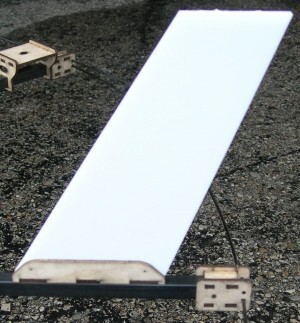 Two mounting surfaces suitable for mounting helicopter type landing gears up to .50 / 600 size. 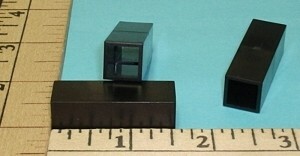 Surface is .900 (22.86mm) front to back, 2.9" (73.66") width. Provide your own fasteners and drill holes to suit your gear. Set of 4 fittings. Provide way for mounting vertical post landing gear. Vertical post gear can be mounted anywhere along the boom, even outside the motor mounts if you like. You can use any length rod (within reason) so the Quad can be setup with variable height landing gear to allow for different setups such as camera's or other gizmos you may need extra height for. Gear block may be secured with tape on either side (won't slip over the tape), Zap Goo, hot melt or your favorite adhesive. Gear is secured by single wheel collar. 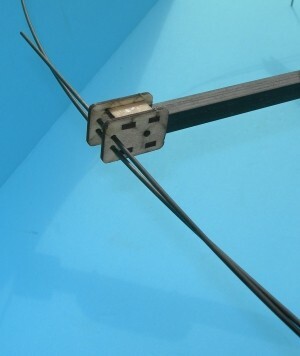 Wire to be used for gear leg is 3/32 music wire or 2.5mm carbon/fiberglass rod. Holes in pillow blocks will need to be slightly opened up for the 2.5mm rod option. Tip your rods with a curl, ball or other type of foot if you wish. 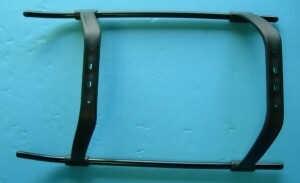 Provide your own wheel collars and rod or order elsewhere on this site. Battery tray for boom mounting. Sized just right for 1350mah and under packs. Any pack 3.5" (88mm) or less in length fits nicely. Use for remote mounting to balance against camera, can be underslung, side mounted or over boom. Same notes as short tray above except this mount will hold larger packs typically in the 1500-2600 range (typical lengh of common 2100&2200 packs) Any pack 4.5" long (114mm) or less fits nicely. Fittings allow easy fitting of 2mm carbon rods to form a bumper hoop around end of booms. Attach with adhesive to end of booms or use 4-40 fasteners. Parts are predrilled, one clearance hole, on thread hole for 4-40. Booms should be cut to extend beyond motor mounts to outside of prop arc to make this part effective. Slip rods into holes linking them around circumfrence of copter. Secure with Zap Goo or your favorite adhesive. Indoor settings provide many more opportunities to bump machine into walls, persons or objects. A bumper hoop can reduce the chance of direct immediate prop contact. Whirling props can never be made safe, precautions should be taken not to fly Quad Copters into people or objects. Fly at your own risk! Kit builds 4 mounts, enough mounts for one Quad or Tri-Copter based on 10mm booms. Additionally, this hardware may be used to create a hoop to attach flying lights or other accessories in an arc around the copter. Enough parts to build 4 blocks as shown in photo. Our 1 meter X copter (used for photo) required 4 2mm carbon booms to connect all the blocks and complete the hoop. 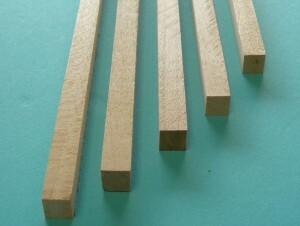 In this photo they have not been trimmed, this demonstrates you need for rods to circle a 1 meter copter. 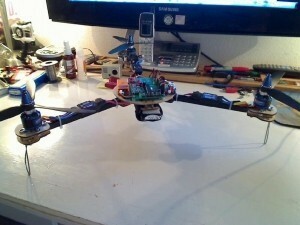 Of course, can be used on smaller Tri, Quad and Hex copters. Generic 400 size heli gear, fits our heli gear mounts. Makes for a nice centralized gear. Gear and Skids. Use to build your own custom Quad or for spares. Same center pod as Our Stinger Quad kit. 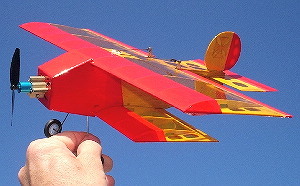 Use to build your own custom Tri-Copter or for spares. Same center pod as Our Stinger tri-Copter kit. Complete with accessory boom mounts for camera or whatever you like. 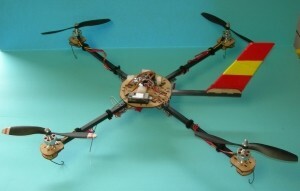 Can be used for Hex-Copter as well. Use to make an extra level to mount gear or protect gear. 4 each button head fasteners and 1" stand-offs are provided. All screw holes are drilled to thread size making it easy to stack up extra layers. For pass through, drill holes out to .120-1/8". Compatible with all Radical RC Tri kits. Use to make an extra level to mount gear or protect gear. 4 each button head fasteners and 1" stand-offs are provided. All screw holes are drilled to thread size making it easy to stack up extra layers. For pass through, drill holes out to .120-1/8". Compatible with all Radical RC Quad kits. If your using 6mm depron (.236") to make your own custom stabs / orientation fins, this is the right mount for you. 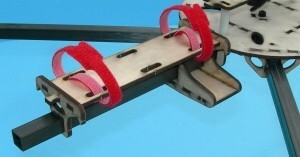 Allows the stab to be mounted on the center of the boom. If your using a stock Slow stick tail boom, the bolt pattern already matches for you. 4-40 bolts will thread directly into holes in the base plate. Side holes are provided in case you want to use pins or screws to secure your fin. A jig is provided to assure it's put together squarely. Use thin CA to glue together. This special part allows you to glue in place a stop. Great for setups you want to be able to dismantle quickly, for use as a spacer or perhaps to ruggize the end of a boom that might be subject to damage. Also has some applications as a part to build your own custom mounts from. Laser cut from 3/16 aircraft grade plywood. Rugged enough for most any use. Each package contains 4 stops. 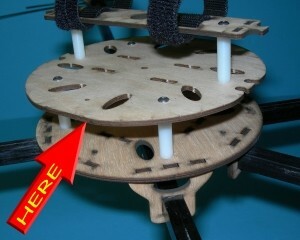 Same parts as in our Stinger Tricopter kit. 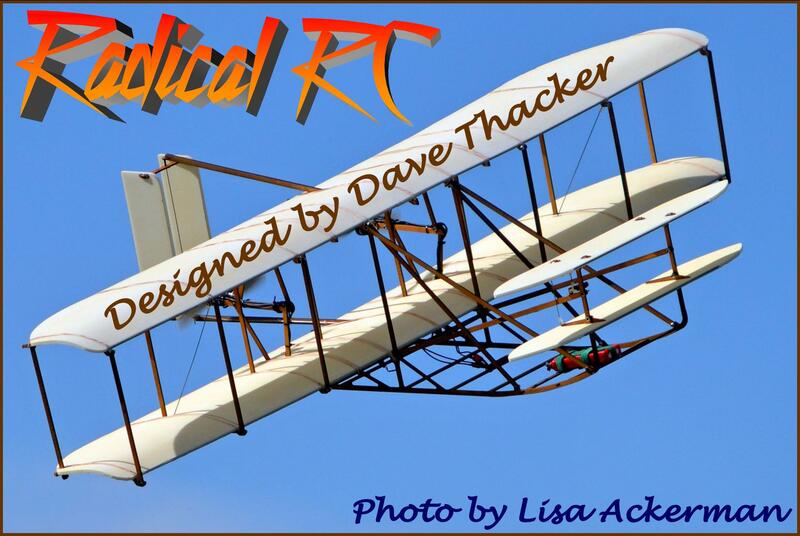 If you're building a custom Tri with 10mm square arms you can utilize the Radical RC parts of your choosing. Builds into one tiltable motor mount and servo holder that fits up to HS-81 size servos. Design intended for double ended ball link between servo arm and yaw motor mount. Pivot shaft and retainers included. Designed for bent wire or post landing gear options as used in our Stinger kits. No landing gear wire or ball links provided. Suggested ball link kit and threaded rod for 2-56 setup is DUB378 & DUB2135. For 2mm Setup use DUB693 & DUB2133. 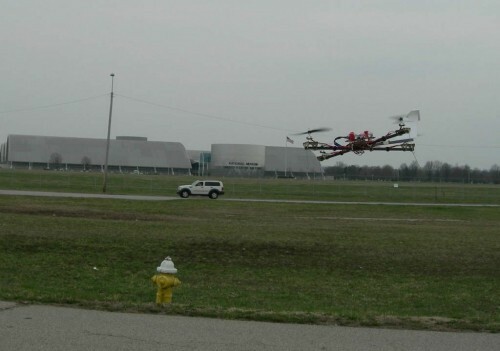 Same parts as in our Stinger Qaud & Tri-copter kits. Use as spares or for building custom Multi-Rotor Copters with 10mm square arms using the Radical RC parts of your choosing. Builds into 4 fixed motor mounts (Quad uses 4, Tri uses 2). Can also be used with our Quad Designers Kit. Designed for bent wire or post landing gear options as used in our Stinger kits. No landing gear wire provided.